With cystic acne, clogged pores, and leathery dryness, my skin needs divine intervention. Before I resorted to bathing in Holy water, I found Earth Kiss face masks in an Oxfam shop. Side note- did you know that Oxfam sell ethical skincare and home cleaning products? Now you do. There were 2 mud masks and 2 sheet masks on display, and I was drawn in by the lure of the natural extracts and 85 micronutrients within them. They're produced by Montagne Jeunesse, who, I think we can all agree, are the market leaders in sachet face masks. 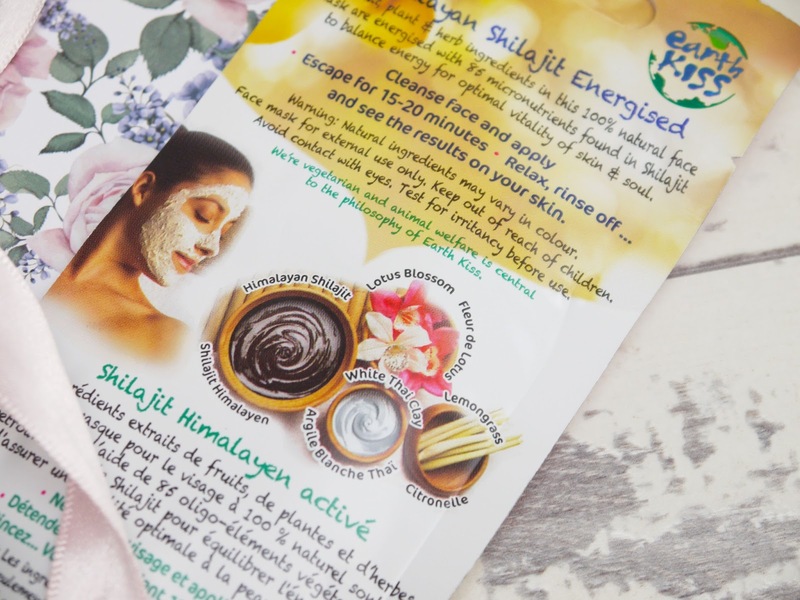 I feel that they have combined their experience with current trends to design a range that is packed full of plant power and more effective and nourishing than their usual lines with synthetic ingredients and fillers. I chose a clay mask and sheet mask, and paid £1.99 for each. The Skin Radiance clay mask really drew me in, as it sounded like an oxymoron. Clay is typically drying, and radiance is normally achieved with exfoliation and hydration. However, this was no ordinary clay mask. It applied with a much lighter, smoother texture, almost like a lotion, before drying down. My skin is incredibly dry but dirty, getting clogged with oil regularly, so I quickly assumed this mask would be the answer to my prayers. 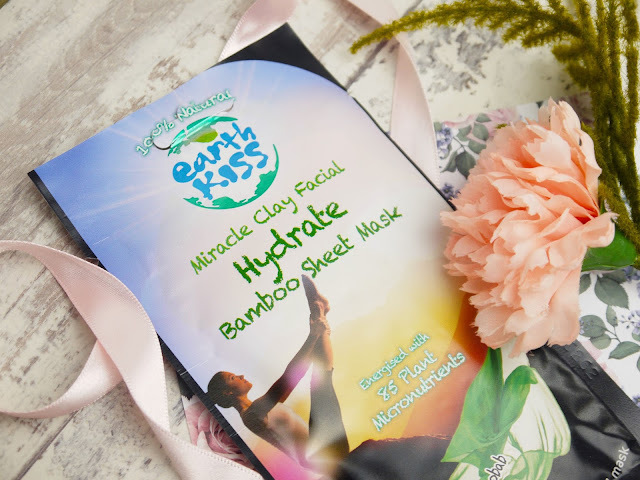 After just one use I didn't see a huge difference in the radiance or clarity, but I also didn't experience the dryness or tightness in my face that I usually would after a clay mask. It just felt nicely cleansed. I was really pleased to discover that this sachet can easily do two masks, as £1.99 for a single use is a little steep for this budget babe, especially when the product didn't blow me away. If it was available in tubes I would use it regularly in my routine to give my pores a deep clean without stripping or over exfoliating. The hydrating sheet mask was unusual for me, as I'd never used a sheet saturated with a clay mixture before. Again, this mask contained clay to deeply cleanse the skin while still promising to hydrate the face. It felt cool and soothing to use, with the sheet itself being of a good quality and fit. After using it my skin did feel clean and smooth, but a tiny bit tight. Sometimes after a face mask my skin feels refined and absorbs products very well, but I didn't find that that was the case with this sheet. I wouldn't buy these masks again because, although they were pleasant to use, I didn't really notice a difference in my skin either way. It didn't look and feel hydrated or brighter, nor did they have any effect on my blemishes from a single use. As I said, it would be nice to buy the clay in bigger tubes so I could use it regularly and see the benefits, but in future I will stick to buying either a clay mask or a moisturising mask rather than trying to combine them. 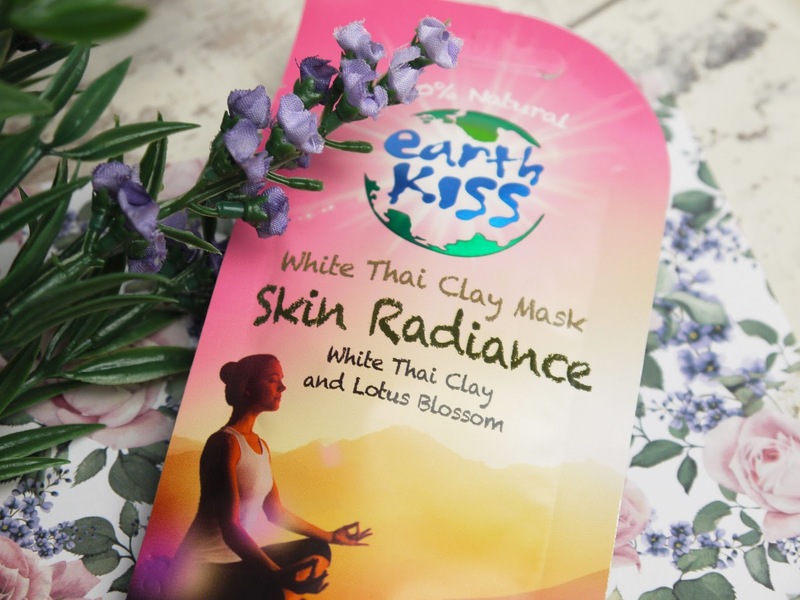 Have you tried Earth Kiss masks? Never knew Oxfam sold ethical beauty products, I'll have to go investigate! Shame these didn't work out for you! I find that a lot with montage juenesse masks though! They promise a lot and rarely deliver!